Our team at Clark Septic can help you with drain field installation at your Orlando, FL residence. 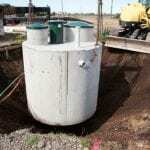 Drain Field Installation in Orlando – Septic systems work like a personalized sewage treatment plant for an individual residence or property. The last component of the septic system is the drain field, which is a system of pipes that allows wastewater to filter back to groundwater. If you’re installing a new septic system or just need a new drain field, our team at Clark Septic can help you with drain field installation at your Orlando, Florida residence. In addition to installations, our drain field services also include repairs. Although most drain fields require relatively little maintenance, it is likely that your drain field will malfunction at some point. When this occurs, you can count on us at Clark Septic to be there for you right away. One of the best parts about our drain field services is that they’re available 24 hours Monday through Friday. We also have appointments available on Saturdays. Our drain field installation services are complemented by honesty and dedication to your specific needs. We will always be upfront with you about what needs to be done and what solutions are available to you. This is just one of the reasons why we are able to maintain an A+ rating with the Better Business Bureau and why our clients continue returning to us for help with all of their drain field installation and repair needs. We have years of experience providing drain field installation services, which enables us to install your drain field quickly and economically, while ensuring that your drain field is right for your household. For a free estimate, contact our office today. 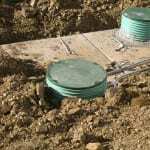 At Clark Septic, we offer high-quality drain field installation services in Orlando, Altamonte Springs, Deltona, Ocoee, Pine Hills, Winter Park, and Winter Springs, Florida.